The Islamic State movement (ISIS/ISIL/IS) burst onto the world stage in 2014. From its heartland in Syria, where it arose from the chaos of the Syrian Revolt, the organisation has expanded in ideology and membership and now poses a significant threat to the region, if not to the wider world. Moubayed, a Damascus-based writer and historian who has been analysing Syria and the region for 20 years, has unrivalled access to the movement and its participants. 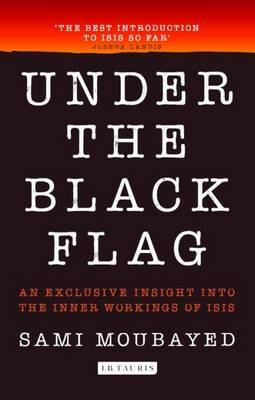 His book is the first inside account of an organisation which has dominated the headlines with a dangerous mix of barbarity and military prowess. 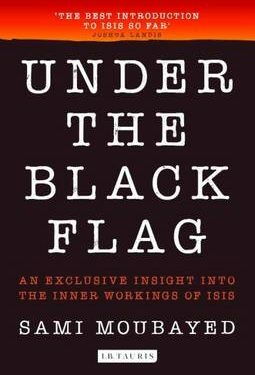 In looking at the historical background of ISIS: where it came from, how it evolved, where it stands today and what its aims are for the future to reveal, it will provide, for the first time, a fully-fledged picture of what lies at the heart of the Islamic State. The conclusion of World War I and the subsequent breakup of the Ottoman Empire led to the independence of a number of Arab nations and resulted in a Western scramble for roles of control and influence over them. It was not until after World War I that Syria and the United States had a formal diplomatic relationship – prior to then the only Americans who had developed a relationship with the nation were missionaries, particularly those involved with the Syrian Protestant College, established in 1866. 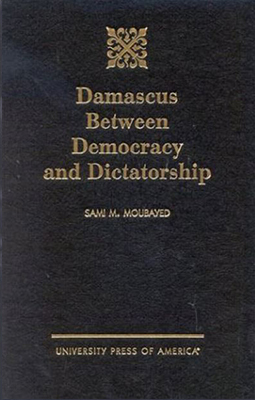 The collapse of the Ottoman Empire, however, single-handedly brought Syria into the sphere of influence of the Western world, and as Sami Moubayed here illustrates, particularly that of the United States. The relationship between the two nations was by no means uncomplicated, and there were a number of challenges from the years following World War I to the early years of the Cold War. Though relations were warm between the United States and Syria while Emir Faisal was ensconced in Damascus, Washington saw little point in pursuing an American-Arab alliance, and Faisal’s reputation suffered greatly as a result of his relationship with Wilson, particularly with respect to his stance on the creation of a Jewish state in Palestine. Relations cooled between the two nations during the presidencies of both Warren Harding and Calvin Coolidge, neither of whom saw any value in being involved in Middle East affairs. However, with the discovery of large oil reserves in the Middle East, as well as Syria’s siding with the Allies and declaring war on Nazi Germany, interest in the American-Syrian relationship was greatly revived. As quickly as the relationship warmed though, it also cooled: in the aftermath of World War II, the United States was linked to involvement in a series of coups and counter-coups that destabilized Syria from 1949 until the Syrian-Egyptian union of 1958. Furthermore, Washington’s initially benevolent attitude towards the right to self-determination gradually evolved into one of manipulation, espionage and covert activity during the Cold War when the US considered Syria as a Soviet proxy in the Middle East. The forty years between 1919 and 1959 saw the creation and unravelling of America’s relationship with Syria. 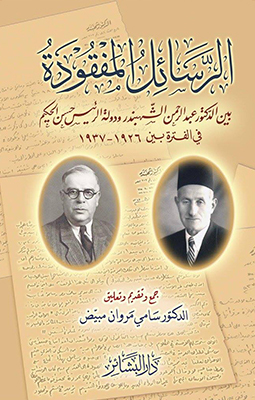 In this book, Moubayed brilliantly explores the events of these years and, using original research and previously unpublished material, sheds light on an often overlooked subject. 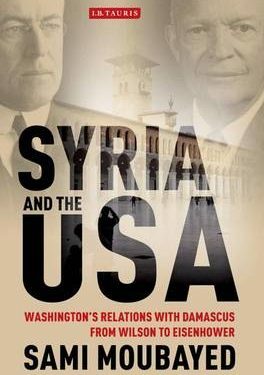 Syria and the USA is an essential read for scholars of the Middle East, US diplomatic history and twentieth-century international relations. 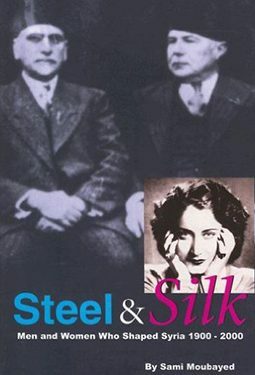 This book consists of profiles of 200 men and women. Syria has led the Arab World in many ways for the past 100 years. 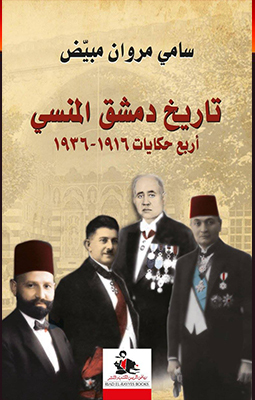 It was the headquarters of the Arab nationalist movement in the 1910s and leader of women’s emancipation in the 1920s. It was among the first Arab countries to achieve independence from colonial rule in 1946, and among the region’s earliest and healthiest democracies in the 1950s. 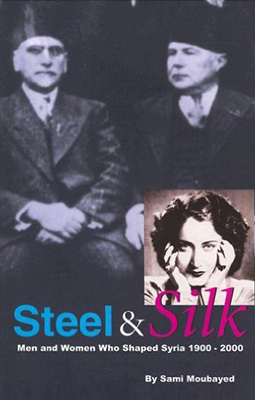 From this point on, Syria produced an array of leading poets, writers, and painters. In the 1970s, Syria was the first Arab country to appoint women as judges, parliamentary deputies, ministers, and ambassadors. Meet the nationalists who led the independence struggle in Syria. Meet the politicians who maneuvered its politics into becoming a central power-broker in the Middle East. Meet the poets, the painters and thinkers as well as the diplomats, journalists, and civil servants. Meet the women and men who shaped 20th century Syria. 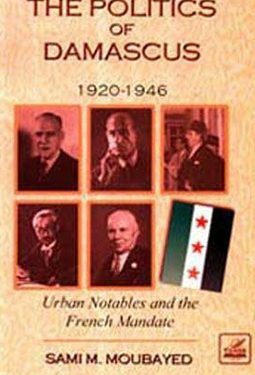 This book includes a workshop for journalists and researchers that includes an annotated timeline of 20th Century Syria, facts on Syria, and brief bios of the current leadership. Between 1949 and 1957, ten coups shook Syria. Each attempt to overthrow the government was led by powers sympathetic to either the Soviet Union or the United States. 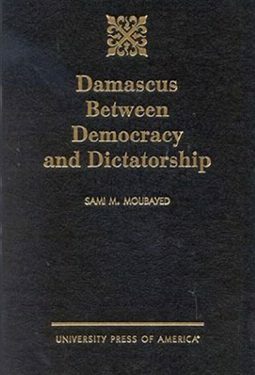 Damascus Between Democracy and Dictatorship details the oscillations that rocked the Arab region during this transitional period, ultimately destroying Syria’s chances for a stable democracy. Different levels of struggle are analyzed within the context of global Cold War politics, and the roles of specific leaders are critiqued.